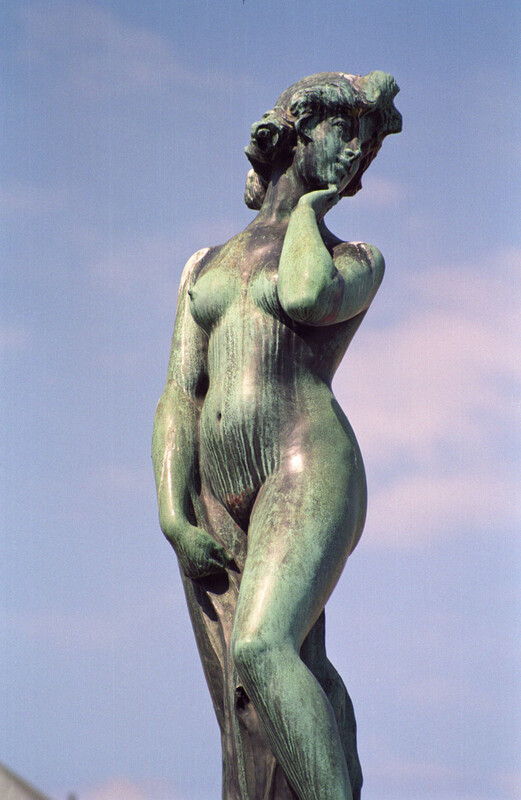 Ville Vallgren’s Havis Amanda mermaid, icon of Helsinki. Photo © by Matt Prince. ‘Havis Amanda’ is also known as just ‘Manta’. Both names are nicknames really – it was named Merenneito (Mermaid) by the sculptor, Carl Wilhelm ‘Ville’ Vallgren, who created the bronze mermaid statue while living in Paris in 1906, with young parisian Marcelle Delquini as the model for the statue. The mermaid statue was installed in Helsinki in 1908 and unveiled on September 20th, 1908, as the central part of a granite fountain with four sea lions and the mermaid rising out of the sea on a pedestal of seaweed with four fish at her feet. The statue symbolizes the rebirth of Helsinki. While it originally drew much criticism, the mermaid has over the years become immensely popular, and is today widely considered an icon of the city, and its most beautiful and important piece of art. Havis Amanda Statue. Photo © by Matt Prince. Havis Amanda in Helsinki. Photo © by Matt Prince. Ville Vallgren’s mermaid Havis Amanda. Photo © by Alexey Nikulnikov. The Havis Amanda mermaid statue is clearly depicting her in her human form – with legs instead of a mermaid tail. Other mermaid statues that share this trait are the Pania of the Reef mermaid statue in New Zealand, and the Undine mermaid statue in Austria. 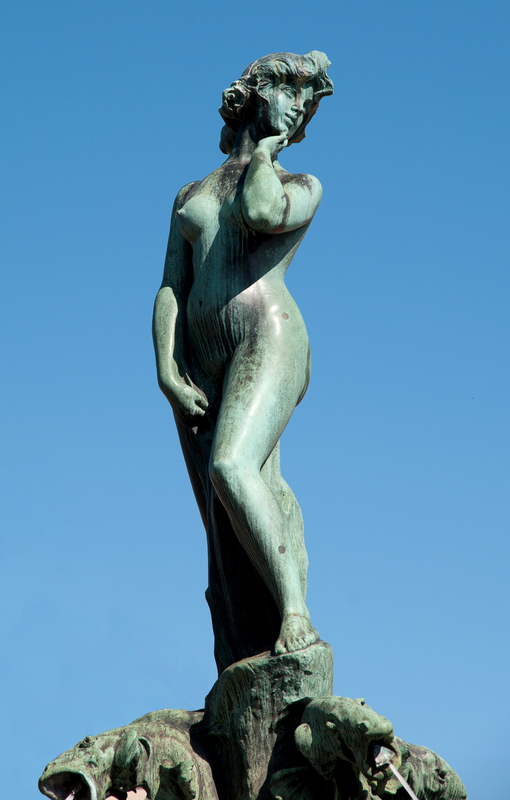 Helsinki is one of the nation capitals with a mermaid as its icon.